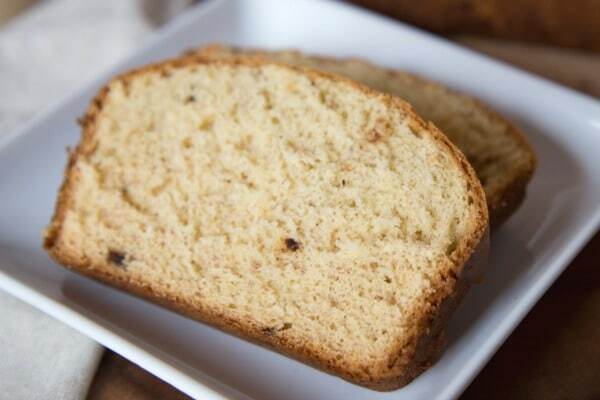 If you love easy recipes this 3 Ingredient Banana Bread recipe will become a new favorite. 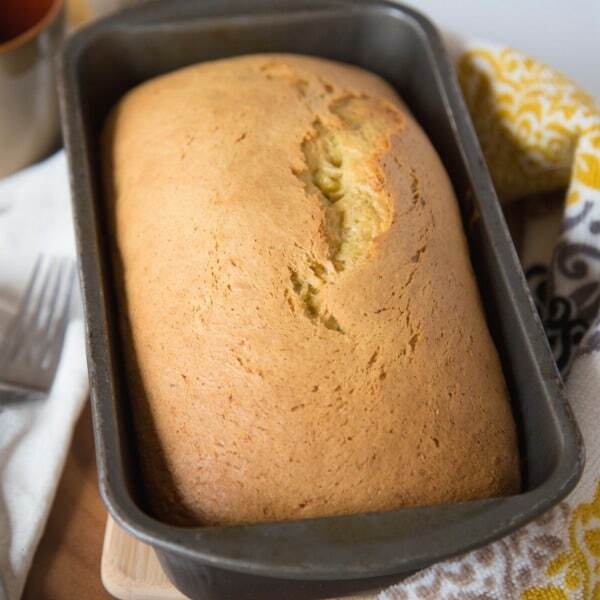 This one bowl sweet bread recipe is a great way to use up those ripened bananas that are sitting on your counter! CAN YOU MAKE BANANA BREAD WITH ONLY 3 INGREDIENTS? When I look at my regular banana bread recipe it has a LOT of ingredients listed. Most of the banana bread recipes I see have at least 7 ingredients. So when I heard that there was a 3 ingredient banana bread recipe floating around I knew I needed to try it out for myself. The good news is that this DOES work and it is VERY good! 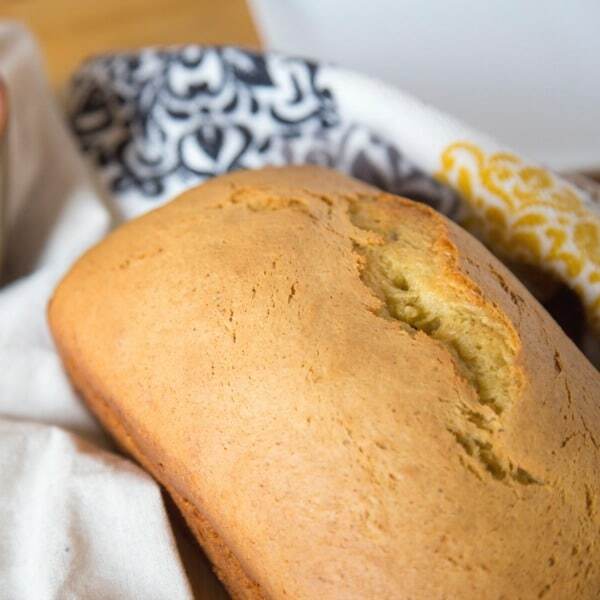 My kids can even make banana bread with this easy recipe! I love a good sweet bread recipe. Sweet breads work so perfectly for breakfast, snacks and when company is over. One of my favorite sweet breads is Peanut Butter Chocolate Chip Bread. It is sweet and decadent. Sometimes I just want a simple and quick sweet bread and that is where this 3 ingredient banana bread comes into play. 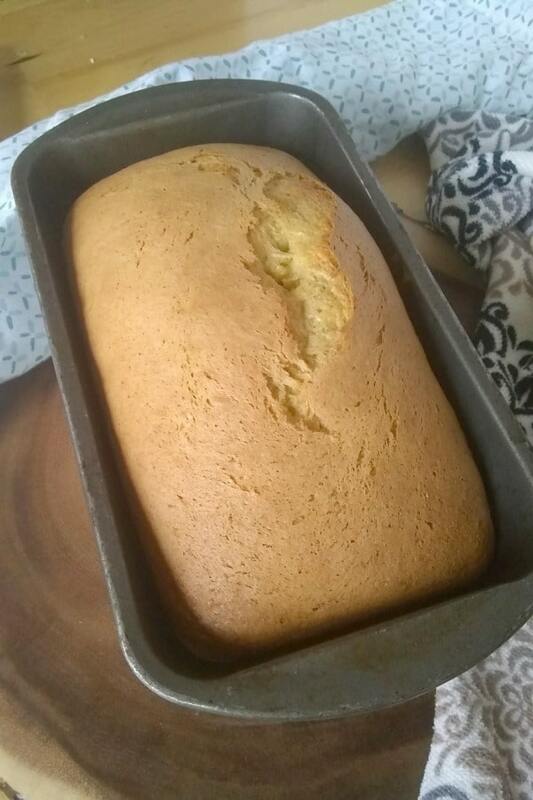 All I have to do to be ready to make this bread is make sure to keep some yellow cake mixes on hand in the pantry! I usually always have bananas and eggs on hand. This recipe couldn’t be easier to make and you probably won’t need the recipe card after you make it a couple of times! Start off by preheating the oven to 350 degrees F.
I like to go ahead and grease my loaf pan with nonstick cooking spray , but it is optional. Place the bananas into a mixing bowl and mash them. Add the yellow cake mix and eggs and mix well with a hand mixer or stand mixer . Pour the batter into the prepared loaf pan and bake for about an hour. Check for doneness with a toothpick in the center of the loaf. Remove from oven when the bread is done in the center and the top is light golden brown. Although this is a simple recipe it is always nice to have it in the recipe binder! 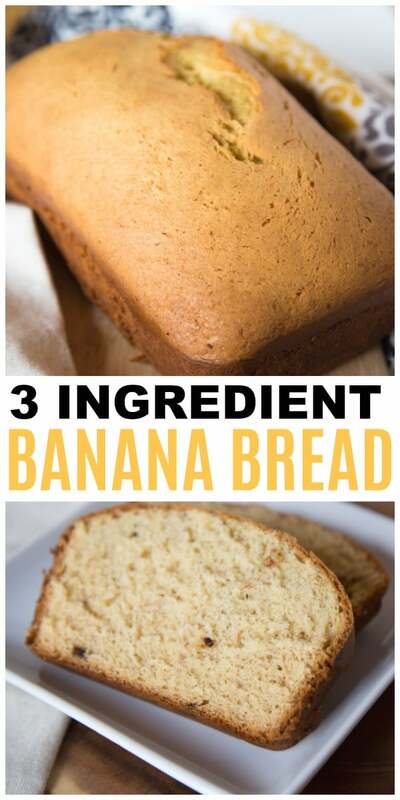 You can print off the complete ingredients and instructions for 3 ingredient banana bread below on the recipe card. 3 Ingredient Banana Bread is a simple one bowl sweet bread that only has bananas, eggs and a yellow cake mix as ingredients. Grease loaf pan with nonstick cooking spray, butter or Crisco if desired. Place bananas into a mixing bowl and mash. Add the cake mix and eggs to the mixing bowl and mix until well blended. Bake for about an hour or until center is done and the top is light golden brown. Don’t forget to PIN this so you can come back and make it again and again!